26 Birch Avenue Townhomes is a new townhouse project by North Drive Investments Inc and is currently in pre-construction. 26 Birch Avenue Towns architect is designed by Richard Wengle Architect. The new project will be located at 26-40 Birch Avenue in Toronto. The major intersection is St Clair Avenue West & Yonge Street. 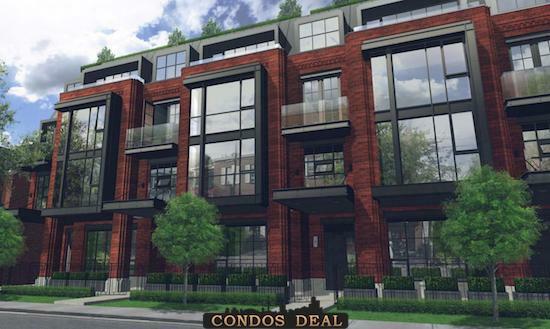 26 Birch Avenue Townhomes will be a collection of 27 stacked town units. Towns will be 4 storey with two storey units. Units will be a mix of 18 two bedroom layout and 9 three bedroom layout. From these units 13 will be back-to-back on the ground floor with private outdoor amenity spaces. The remaining 14 will be stacked above with rooftop terraces as private outdoor amenity space. The estimated completion date for 26 Birch Avenue Townhomes is still unknown. 26 Birch Avenue Townhomes will feature parking, storage and mechanical spaces in a single underground level. The parking garage will have 58 spaces with 52 for residents and 6 for visitors. The garage will be located at the east edge of the site connecting with Birch Avenue. 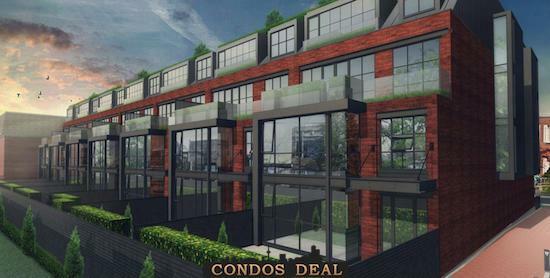 Other projects by North Drive are like One Forest Hill Condos, Picnic Condos and 4 Kingsway Condos.